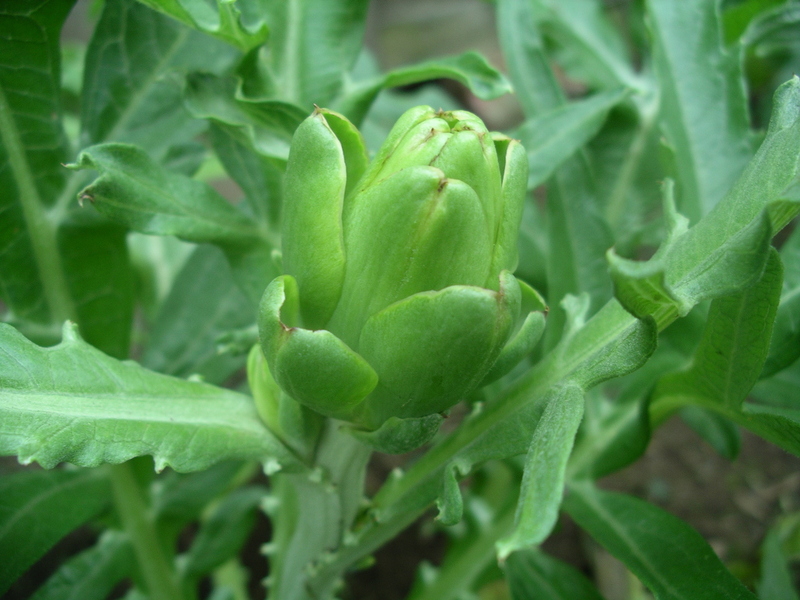 Just a quick update- One out of the three plants that spent time in the fridge is producing artichokes. Check out the picture. Now I just need to figure out how to prepare fresh ones. Suggestions anybody? Anyway, there are some things you can do to make life easier for the lazy gardener. Sure, you can hire another gardener to do the work for you. But then that wouldn’t really be “gardening”, would it. Here are two ideas to minimize your garden effort. The first is using garden structures that are easy to assemble. A few 1 by 2s screwed into a fence post make a quick and easy trellis. Done. Time for another nap. Oh, and pass the beer and nachos. The second idea is to design your garden for ease of effort throughout the season. 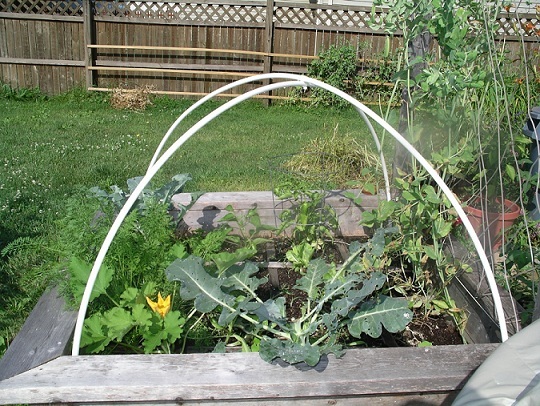 My raised garden beds are a great bench height, and they have a frame that you can sit on while gardening. Back to being lazy. Enjoy.